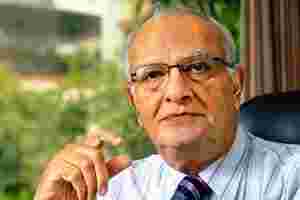 Agrochemicals maker United Phosphorus Ltd, or UPL, will spin off its toxic gas detection instruments business into an independent entity, called Uniphos Envirotronic Ltd, according to Rajjubhai Shroff, chairman and managing director. “We are going to separate the instruments business, because it is different from our mainline business," Shroff said. The purpose behind the move to hive off the fledgling business is to focus on the instruments business, which the UPL management believes, has huge potential. Shroff said the spun-off company would consider going public in the second year of operations. “The systems are different, the marketing team (for pesticides, agrochemicals and instruments are different) and the customers are different. This business doesn’t cater to farmer," he said. UPL grossed more than Rs4,000 crore from its core business of manufacturing agrochemicals such as pesticides, fungicides and insecticides. However, the instrumentation unit was for Shroff a “hobby business", which involved working with engineers over weekends to develop instruments for detecting toxic gases on the manufacturing sites, eventually growing to make sensors as well. “What we are doing now with the business is quite small," Shroff said. “The world market for other detection equipment is very huge." While a number of companies currently import such instruments, Shroff is banking on the cost factor, claiming the ultra-sensors that his team has developed are as good as any other made in the world, but at $10 (Rs480) apiece, are one-tenth the price of the competition. The instruments business is currently part of the health, safety and environment section of the company, which initially catered to the in-house needs of the company. “We were flooded with enquiries. When we were small, we never took part in exhibitions. Now I send four-member teams to attend some of the international trade fairs," Shroff said. “(The) sky is the limit," he said about the potential of the instruments business. Growing at 30-40% annually, the unit contributed a little less than Rs10 crore to UPL in fiscal 2008, he said, pointing out that the business has the potential to grow at 200%, if the right focus is provided. “It will grow much more than that, as the world market is huge. Any chemical factory that uses chlorine, sulphur dioxide, etc., has to have detection instruments," he said. “In India, these instruments were imported earlier and it never worked, because they need constant calibration." Municipalities also require toxic gas detection instruments when municipal workers work in and on underground sewers. The company also supplies alcohol breathalyzer kits to the police in Mumbai and Delhi. The police in other states are also keen to acquire similar kits now, Shroff said. “For the Mumbai police, it has become a money spinner," he said, referring to the department’s ongoing aggressive campaign against drunken driving.